I have worked in the beauty industry for the last 9 years, specialising in wedding makeup. During that time I have gained a strong and professional work ethic. I am an experienced makeup artist with an exceptional eye for detail and strive to ensure I achieve a unique and individual look that is right for you. As a makeup artist, my aim is to enhance your natural beauty, making you feel polished and beautiful for your special occasion, whatever it may be. I will go above and beyond to give you the look you are after, whether you want a dramatic look or something more natural. I want your first glimpse in the mirror to bring a smile to your face – I am not happy unless you are 100% happy. I provide a mobile service based in Christchurch and am able to travel to your location to make your special day as stress-free as possible. 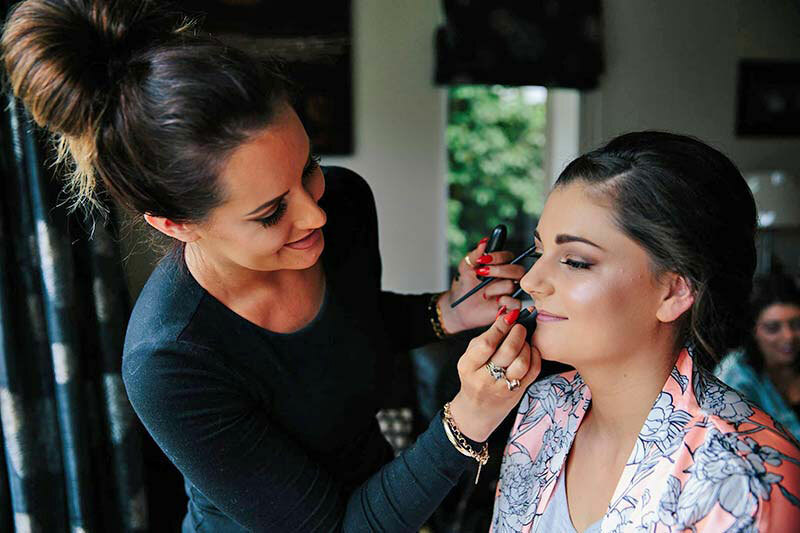 I pride myself on providing a first class makeup service for any occasion including wedding makeup, formal makeup, graduation makeup, hen’s nights, engagement parties, photoshoots or whenever a makeover is needed. I use only high quality MAC makeup to achieve a personalised and flawless look that will last the entire day/night. If you are looking for a passionate, creative, versatile and reliable makeup artist, I encourage you to contact me, I am more than happy to discuss all options.